On January is actually a month of my final examination and end of my study in degree. So, I decide to be more updated with all my readers after this. Be more active like I was before on 2012. And here again Monthly Favorites that I left it behind for so long for the past 2 years due to some circumstance but now here I am! How time flies and it February already?? I feel just like new year yesterday. Hee.. Gurau2.. 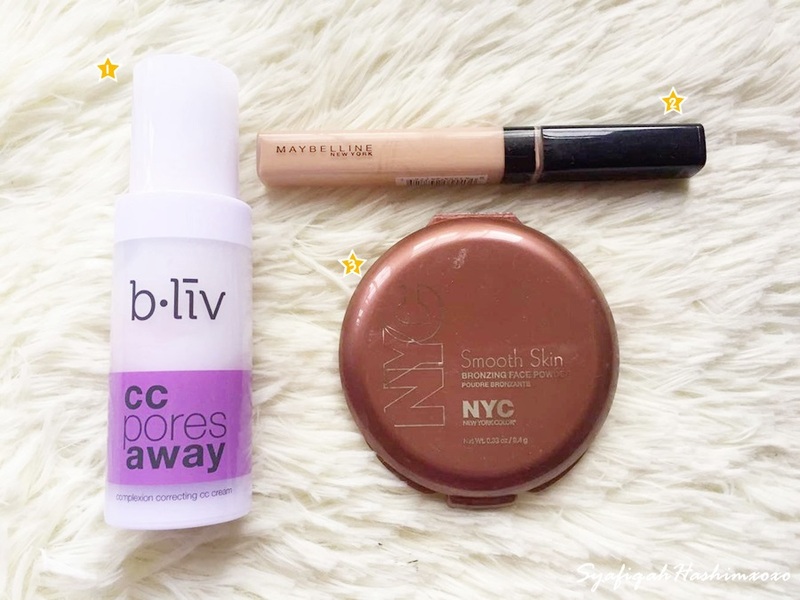 Since on January I don't have much product that I usually wear because I only going to final examination and settle a few thing so here some stuff that becoming my favorites on the month of January 2016. I'm starting with the FACE PRODUCT here. 2) Maybelline Fit Me COncealer: I don't know why they do have it in Malaysia??!! This is so good! I purchase it on online and test it out turns I keep take this concealer over any other concealer on January. It cover my dark circle very well. I'm actually planning on making full review about his and show how this concealer works. Please la Maybelline Malaysia bring this to our market.. Hehee..
3) NYC Bronzing Powder: I got mine in Sunny and I find this bronzing powder helps me a lot to contouring my cheek and nose area. The color suitable for my skin tone. But somehow, I tried this bronzer on my friend recently but the finish does not show any differences due to the color I guess. She need something more darker. Fuhh~ Glad that I can pulled this off.. Always reach for this bronzing powder last month. By the way, HERE the full review about this bronzing powder. 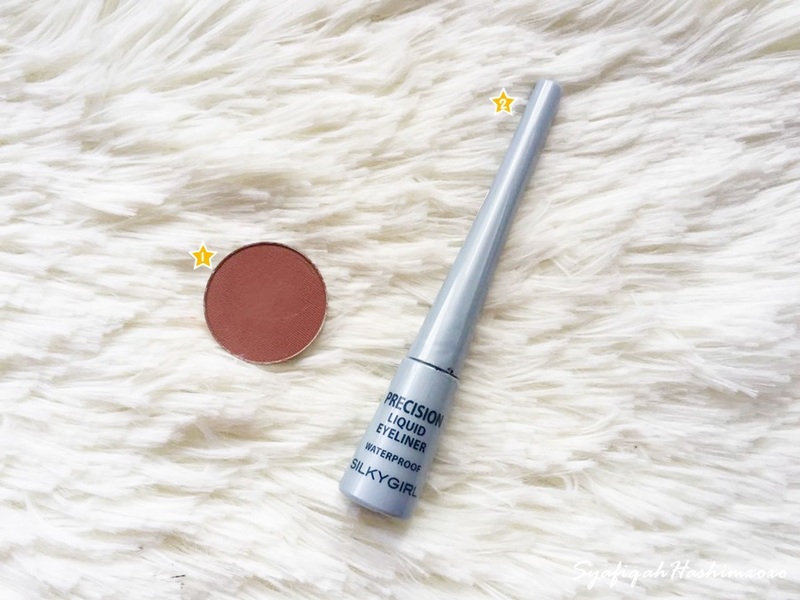 1) Makeup Geek Eyeshadow in Cocoa Bear: I reach for this shade a lot. I mean I just apply this color all over my lid and I'm done! 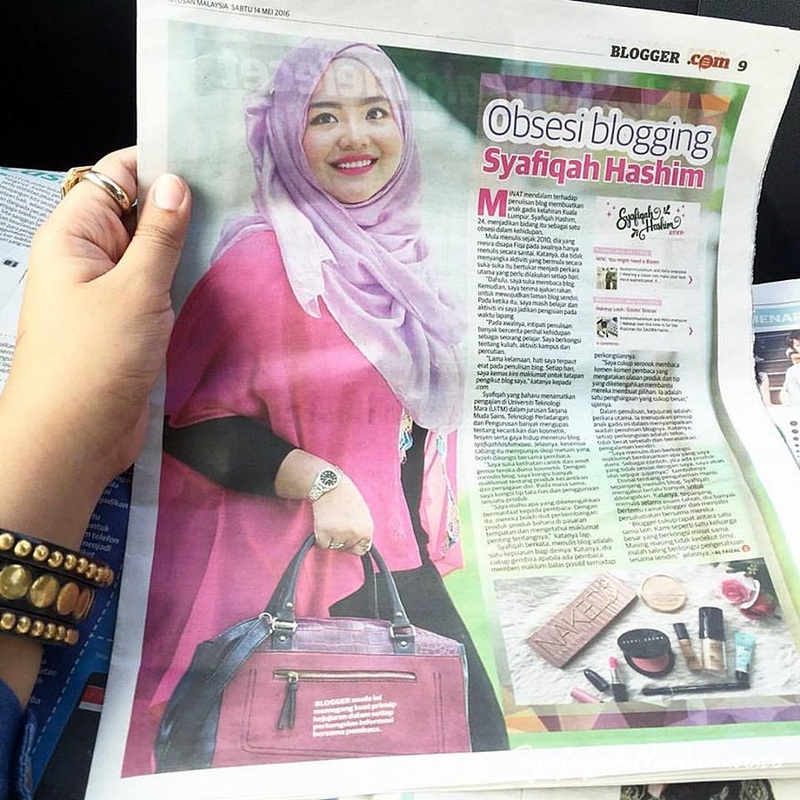 Well, you don't want get too much on daily makeup/routine right. This color suitable as my transition color to the eye crease. Sometime I just put this color on the crease and I'm done as well. It upon to my mood that day. NGEE! HERE the full review. 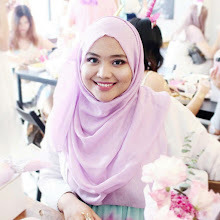 2) Silkygirl Precision Liquid Eyeliner: I recently make a full review for this eyeliner in a month on January HERE and I admit that I grab this eyeliner a lot of time. I keep reach it everytime I'm going out and I even bring this along with me when I'm going out. Jump to LIP PRODUCT. I buy a lot of lips product on January and planning to wear it when I find the suitable time but this 2 are my top choice on January. 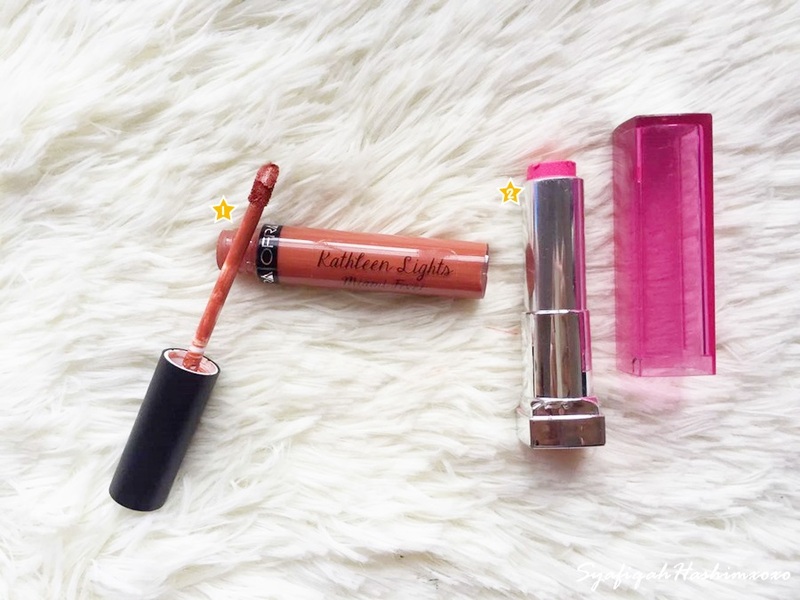 2) Maybelline Pink Alert in POW4: To be honest, I'm using this lipstick a lot through out the year of 2015. I just want to include this in January favorite as well since I grab this lipstick a lot for daily time. I mean this is the first lipstick I got the almost finish. "hit the pan" I guess, The full review HERE. and here some ADDITIONAL PRODUCT of the month I choose Face Mask. 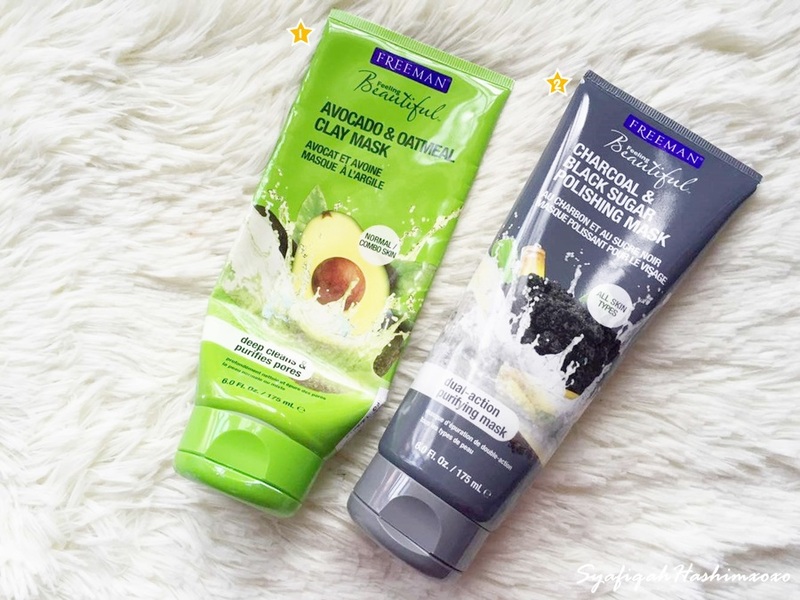 1) Freeman Avocado & Oatmeal Clay Mask: Clay mask is so good for deep cleanse your skin. This mask here such a rich clay dive deep to purge dirt and oils from pores. Nutrient-rich Vitamin E, Avocado and Oatmeal moisturize for laskin skin softness. Skin will feel soft to the touch. I love using this when I feel like my skin start to breakouts or timbul jerawat kecil-kecil which is clog pores. This will help to absorb the bad impurities away. 2) Freeman Charcoal & Blacksugar Polishing Mask: this ia an unique mask and scrub works double time to detax skin. it has charcoal that help to abosrb oil and impurities without over drying your skin. with the help of black sugar exfoliate away dulling skin cell for softness and clarity. suitable for all skin types. easy to used it as well. I love the result after using this mask. This is actually my 3rd purchase for this mask. 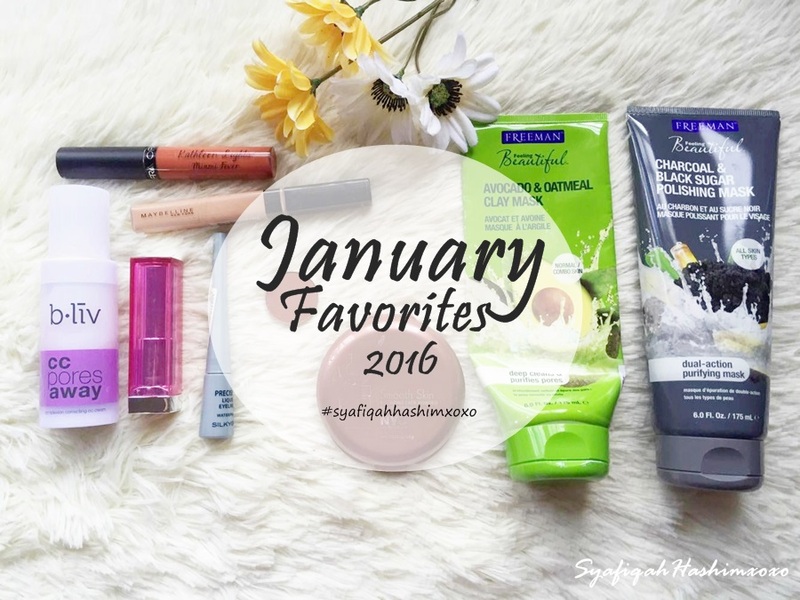 I guess that all the product that I want to highlight for my January Favorites of 2016. By the way, WELCOME FEBRUARY! I hope this month will give more happiness and joy for me. Amiin! Hope you have a great day ahead. well-known dekat overseas compare to Malaysia but it is good taw..